“Africa was the start of my Alphabet Travel. It is going to be a hard act to follow with the other letters of the alphabet. Going on an African Safari has been a dream of my since a kid. Words cannot express how beautiful and exciting life is in the Serengetti. I kept thinking as I climbed Mt. Kilimanjarno, this is so surreal, there is nothing like being above the clouds and pushing yourself beyond your wildest imagination. “I’ve been thinking about doing “a climb” for years.. By that I mean, telling people “I’m going to basecamp.. one day”. The key part was the “one day”. I think we all (well, maybe not you) fall into that trap, thinking that there is always enough time. The truth is, that there isn’t always. 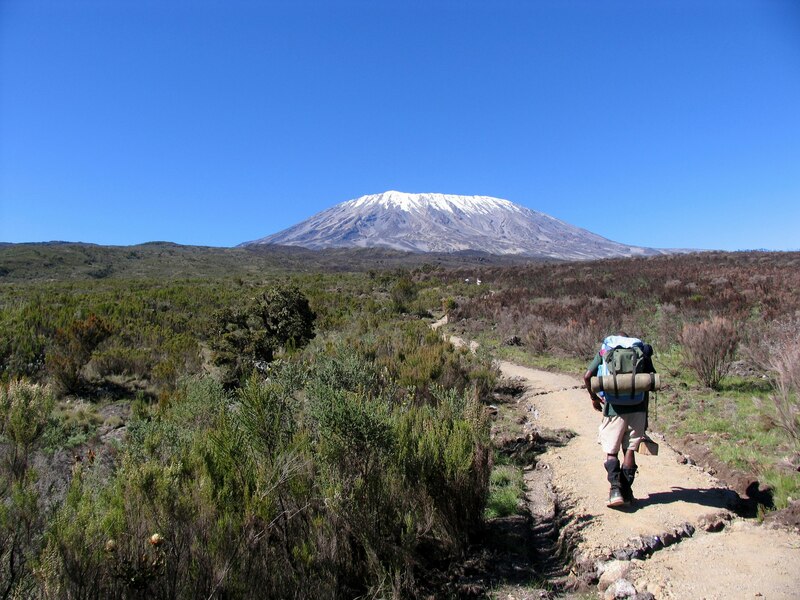 From our first contact, you were absolutely fantastic to communicate with – you have a demeanor which can put anyone at ease – especially important considering that for most of us, a trip of Kili was just a “one day” not that long before. During the trip, you not only kept the group organized with your quiet power, but kept us energized and entertained as well. Your head guide was amazing and everything on the trip was an incredible experience. Though not all of us had the same fitness level, you quietly ensured that everyone received the attention they needed to feel successful, which is after all, more important than whether one summits. “My trip to Africa in June of 2012 with Werner Berger will be a memory I’ll cherish for a lifetime. Visiting this wild and untamed continent would not have been possible without Werner, who helped make my dream into a reality. The trip was highly recommended by a personal friend, who was on his trek to Mt Everest Base Camp in 2010. From the moment I signed on for this trip, Werner was there for even the smallest of details. Any questions I had he always answered; he was informative and patient. If you are seeking an adventure, staying in a tent camp in the middle of the Serengeti with wild animals, and wanting to visit a real Masai warrior village, then Werner is your man. The animals and landscape are incredible, even with pictures it is hard to describe the beauty. “I’m a Lucky Guy. I’m blessed to have been in Tanzania three times now. I was lucky enough to meet with the Masai. I was also blessed to be able to visit the Ngorongoro Crater and get a personal tour from the chief conservator of the crater. He told me the inside story of how they take care of the biggest lions on the planet. Then I had an incredible climb up Kilimanjaro, the highest walkable point on Earth. And I also went to see Olduvai Gorge, the birthplace of humankind. It’s one of the most important archeological sites in the world, where the archeologist Mary Leakey discovered almost 2-million-year-old australopithecine pre-human remains. Africa was the start of my Alphabet Travel. It is going to be a hard act to follow with the other letters of the alphabet. Going on an African Safari has been a dream of my since a kid. Words cannot express how beautiful and exciting life is in the Serengetti. I kept thinking as I climbed Mt. Kilimanjarno, this is so surreal, there is nothing like being above the clouds and pushing yourself beyond your wildest imagination. Miss you Brenda. Your spirit on the mountain (as the French would say, yet I don’t know how to spell it, “Joi De Vivre”) was truly wonderful and infectious!